FOXBOROUGH, Mass. 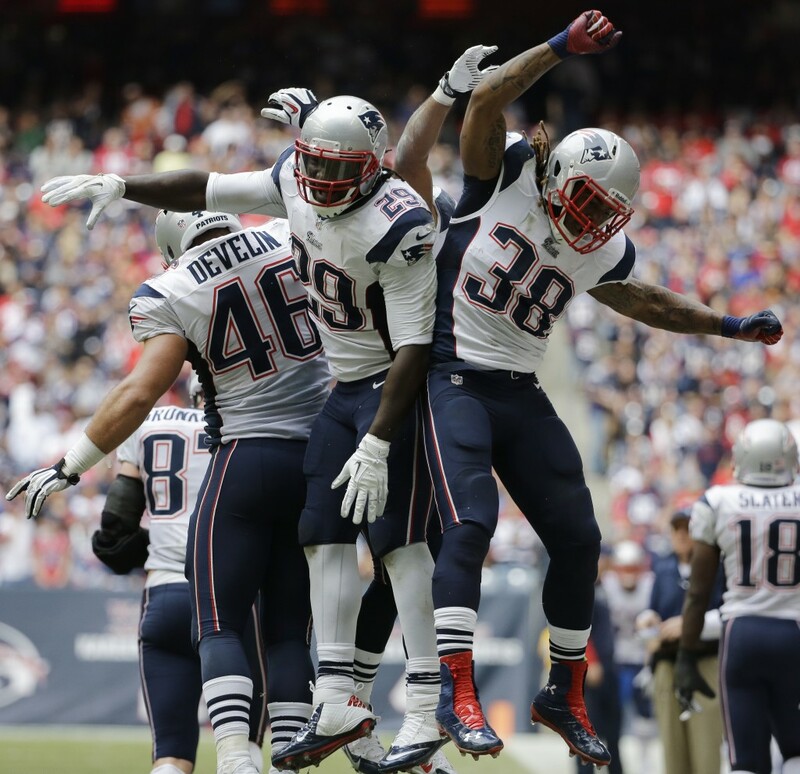 (AP) — It takes the New England Patriots a while to get their offense going. Then the second half starts and Tom Brady’s attack is very tough to stop. The Patriots (9-3) have outscored their last two opponents 61-21 after intermission despite trailing by double digits at halftime. In both games, they scored on each of their first five possessions of the second half. The final scores were identical: 34-31 over the Denver Broncos, one of the NFL’s best teams, and the Houston Texans, right now the worst. The Texans (2-10) hadn’t seen many two-back alignments in watching video of Patriots games. So they might not have prepared for seldom-used James Develin, who powered his way to a 1-yard touchdown on the first series of the second half as offensive coordinator Josh McDaniels used a fullback more often Sunday. The Patriots trailed 17-7, the fourth time in their past five games they were behind at halftime. But seven minutes into the third quarter they led 21-17. The Patriots didn’t play that way in the first seven games when they scored just 54 points after halftime. But in the last five, they have 133 points after intermission, including three in overtime. They’ve scored on 23 of their 36 possessions (64 percent) with 16 touchdowns and seven field goals. The post-halftime percentage is even better in the past three games, when the Patriots have scored on 14 of 20 possessions (70 percent) with nine touchdowns and five field goals. Brady has completed 73 percent of his passes for an average of 233 yards. Now, if only the Patriots could improve in the first half. Four games have been decided by a touchdown or field goal in the final 5 seconds. They split two that were won on overtime field goals and won two by scoring with 5 seconds left. And the winning margin in nine of the Patriots’ 12 games was seven points or less. They won six of them. On Sunday, the Patriots snapped a three-game road losing streak. They did it without Stevan Ridley, their leading rusher, who was inactive after losing fumbles in the previous three games. Texans defensive end Antonio Smith wondered how the Patriots excelled against a defense that had some new wrinkles for the game.